For fun, I tried to revisit the wish list from 2017, and see what came true, if not out of Blizzcon, but in Battle for Azeroth. A stat squish we got. It needs polishing, but it’s there. Sure we did not get the whole Mission table removal, but this time around, it’s not involved in questing at all, it’s there, if you want it, but you are not pressured into doing it. Which actually rings true for many of the systems in World of Warcraft right now, and that is something I like, even though, I can relate to the enormous player crowd, who wish there was more ‘reason’ to do them. The zones of Battle for Azeroth on their own feel bigger and less crowded, I think. Sure, not everywhere, some places are packed with mobs still, but there are times, where I can ride and enjoy the scenery. I love, how I can climb almost every mountain to the top! This time around though, as far as a wishlist for Blizzcon is concerned, I struggle. This wish list is so different than last year. I actually enjoy Island Expeditions and Warfronts and what not, and I am hardly affected by the whole Azerite system at all. The Dungeon and Raid encounters are engaging and new; I am amazed, at how they can keep coming up with new things. The zones of Kul Tiras are, on their own, magnificient; the art team has outdone themselves. the story and the telling of the story. Because I play first and foremost, for the story and lore of the game. It branches into different aspects of it. I’d love to see an Alliance cinematic, like Old Soldier, involving Night Elves. I think the time has come. Any cinematic will do, I’m not asking for a high-quality one even. I’d love for the quests in the new patch to leave us with a sense of accomplishment, a step forward, and not another brutal defeat or “fake victory, which essentially is a loss”. A clear victory for Night Elves. Not “For the Alliance as in Anduin and his human crew”. I’d love to see, that the “GOTCHA”-moment is finally up; we will have revealed, why the actions of many characters are so inconsistent, based on the last many years of lore. I’d love to see, that we will have revealed, that it has not been for nothing; it has not been done for the shock effect alone. I obviously disagree, and I find it so wrong, especially in 2018, to make this the goal of your storytelling. I do not need this in my game. I realize, I am the minority with these thoughts, possibly, and that’s okay. But I need to get it out there. There’s no need to convince me; I realize this probably comes from playing nothing but a Night Elf for 14 years ( which more or less is my entire adult life), and always being more fond of that race and their zones, than any other race in the game. that at Blizzcon 2018 things will make sense soon, and we will come out of Battle for Azeroth with a feeling, that it worked out well, not just at the very end, not just on the last page of the book, but before that, too. I want to be entertained without being clueless during the telling of the story too. Not just at the end of it. I think that the overall story of Battle for Azeroth looks great on paper. But having it play out in the game, in forced chapters, with the abrupt ‘endings’, that is nessesary because of time gating, but then not executed with dedication, makes it appear worse. I’d also, obviously love to see a rebuild of Teldrassil. Perhaps not now. But we did see the burning of it at Blizzcon 2017, teased many months before it actually happened. I’d love to see changes to the Darnassian Refugees in Stormwind. And Mia Greymane, did you notice her health is jumping up and down in the Cathedral? Last I checked, she was at 60%. She has been at 70% and 80% too. Perhaps there is a reason? I’d also really love to see a Mike Morhaime tribute up on screen. Unlike my other wishes, this one, I am almost sure we will get. I never did get around to make a post about him stepping down. 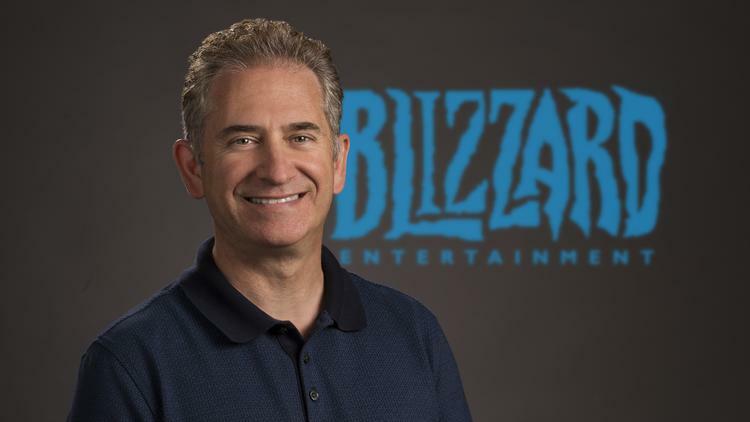 The way, Mike Morhaime has helped shape the genre worldwide, the gaming, how he and the team has provided us with such a magical world to immerse ourselves in, to bond long lasting friendships in…To find our spouse in! We owe him so much gratitude. I hope he knows that. I’d also love to see the WoW Classic experience going well, of course. But I do notice, how this part of all the wishes actually came last. Those who know me know, I am so hyped for Classic WoW, more than anything else. But that obviously does not mean, that I do not care what happens to the story in the current version of the game. I could go into more detail and expand and easily come up with more wishes, but it genuinely was not my intention to be negative in this post. I think it’s just a reflection of the inner conflict as of late. And I do not think that is positive, despite what Blizzard claims with their goal of having us feel this like this; their goal to have us argue with each other. Even though I just play a few times a week now, I really want World of Warcraft to succeed. So here’s to a fantastic Blizzcon, that will blow us all away!